Kinetisches Objekt is a public art installation of hollow stainless steel hemispheres arranged around different axes, which move with the blowing wind like machine parts. Kinetisches Objekt is a public art installation of hollow stainless steel hemispheres arranged around different axes, which move with the blowing wind like machine parts. 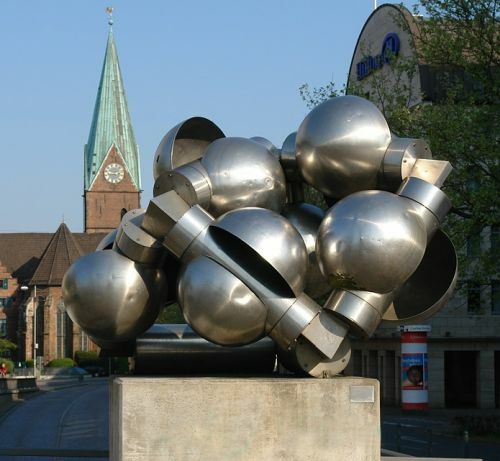 It is one of the several works in Bremen that combine art and technology harmoniously.